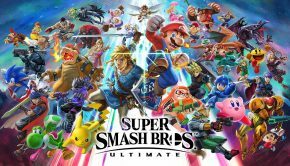 Harmony of Heroes, the surprisingly huge fan album dedicated to all things Nintendo and Super Smash Bros., was met with quite a bit of buzz and acclaim throughout the game music world late last year, and was a success for project director Darren Kerwin and his large team of remixers. However, this wasn’t Kerwin’s first project, nor was it the first project in the Harmony of series. 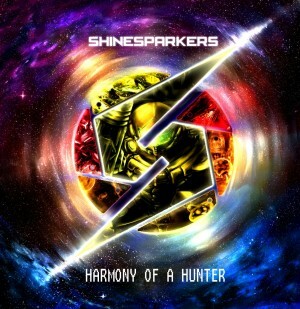 No, prior to Harmony of Heroes there was Harmony of a Hunter, a fan remix project dedicated to Metroid’s 25th anniversary released back in 2011. Though much shorter than their more recent offerings, Hunter was an appropriate celebration of the Metroid fan community, especially since Nintendo had neglected their own franchise throughout the years. As Darren Kerwin continues to lead his expansive team to other projects, how does this first fan album hold up? Similar to Heroes, Harmony of a Hunter features an eclectic mix of genres and styles, during its two hour and thirty minute exploration of the Metroid universe. 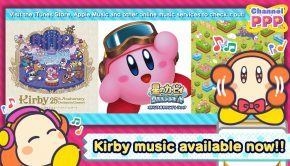 Thankfully, presentation-wise, the team divides the album up between two digital discs, the first which covers the 2D games, while the second takes on the 3D Metroid Prime series, making it a manageable listening experience. Since Metroid has always been comprised of either moody exploration or heroic action/adventure moments, the music has followed suit, and these fan arrangements stay true to the spirit of the franchise, while adding their own unique twists. 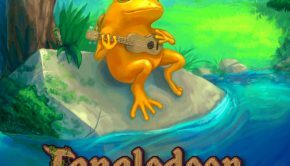 “Kraid’s Campfire Ballad” by Sebastian Mårtensson, for example, takes the original, swirling and often hypnotic “Kraid” theme and throws it into a guitar and accordion duet, capturing the mood of the NES game quite well while adding a contemporary feel to it. “Frozen Utopia,” Mesmonium’s take on Metroid Prime’s lovely “Phendrana Drifts” theme, wisely avoids changing it up too much, and instead simply adds some rhythm bass and drums, while focusing on the piano melody that made the theme so great in the first place. On the other hand, zircon & C-GPO change up the “Tallon Overworld 2” theme to sound more like an 80s power ballad, which surprisingly works in “Solitude,” another great reimaging that still maintains Metroid’s reflective mood. Some more conservative tracks, such as “The Caves of Brinstar,” a fast-paced dance track that does close to nothing to change the original “Brinstar” melody, manage to work. However, others do far too little to their source material. “Corrupt Beginnings,” based on the opening themes to Metroid Prime 3: Corruption, does little to change the execution of the track and actually ends up sounding worse than its original counterpart, thanks to some terrible sampling work. Likewise, despite adding different musical genres, some tracks end up blending in together, such as “Bioluminescence” (an eerie trance track from Metroid Fusion), “Parasite X” (a funky drum & bass version of a boss theme from Metroid Prime) or “Leader’s Lair” (an electronic track featuring vocal harmonies and moans, from the original Metroid). Granted, none of these tracks are truly “bad” in any way, and in fact most tracks are quite listenable and never annoying, but they unfortunately just don’t stand out all that much. Thankfully, included are some very well done piano tracks that truly pick up some of the slack on the album. Hunter opens with Mercury Adept’s “In the Beginning…” a gorgeous piano solo version of the Title theme from Metroid, which is likely to prove to be an emotional listen for any Metroid fan. Later on we also have Pyro Paper Planes taking up two piano solos with “Melting Sun,” another emotional theme, that thankfully builds with some inspired swells, and “Lone Star,” which sounds just as heroic and introspective as its original, the Metroid Prime “Ending Theme.” Mercury Adept returns to close off the album with “In the End…” based on the lovely, but slightly misplaced piano track from Metroid: Other M. Mercury Adept wisely expands on the short tune, adding some more scales and a stirring ending to the arrangement. Harmony of Heroes had its fair share of rock-based tracks, and Hunter is no different. VikingGuitar gets two chances to shine with heavy metal arranged tracks, “Earthroot” (based on “Brinstar Red Soil” from Super Metroid) and “Omega Cannon” (from the opening themes of Metroid Prime Hunters), which are not only excellently arranged, but dynamically shift around in interesting and exciting ways. Stemage and Chunkstyle of Metroid Metal get a take at the “Metroid Queen” final boss theme from Metroid II, which sounds…well exactly like their past Metroid Metal arrangements. Fans of their style will certainly get a kick out of the chaotic arrangement. “Hostile Shadows,” on the other hand is a rock-based medley of the boss themes from Metroid Prime 2: Echoes, that unfortunately blends all the themes together too much, to the point where they sound rather interchangeable. It’s still a fun track to listen to, but just starts to sound generic after a while. Chernabogue teams up with VikingGuitar for a rock off in “Thunder Shooter,” which also starts out interesting enough, before becoming a bit bland towards the end. Rounding out both digital discs is a group of bonus tracks, which also work off each other in varying degrees of success. “Mission Complete: Ending Suite” by Sam Dillard, is the closest we’ll hear of a live orchestral medley of all of the 2D Metroid ending themes. It sounds great, and is excellently composed, despite some of the sampling coming off as a tad bit too artificial. Dillard also gives similar treatments to “Brinstar Vegetation” and “Kraid” in “Into the Green World” and “The Crimson Depths” respectively, which also comes with some great composition, only occasionally let down by the sampling. On the other hand, “Metroid Medley” from Derris Kharlan, is an enjoyable chip-tune based melding of majority of themes from Metroid, Metroid II, and Super Metroid, being a great recollection into these memorable melodies. We also have “Phazon Corruption,” a medley performed live by the Video Game Music Choir, which although is an admirable attempt just doesn’t stick out too well, and has some poor audio mixing to boot. Finally, Theophany comes in with the epically arranged “What’s Past is Prologue,” based on…the music of a commercial for Metroid: Other M. Quite the odd choice for a closing track to this fan compilation, but one that works well and captures that Metroid essence effortlessly. Harmony of a Hunter, although nowhere near as monumental as Harmony of Heroes, is still an excellent starting point for a group of very talented fans and musicians. Although not every track quite works, what is there is still memorable in its own right, and plays off various styles to a great deal of success. And best of all, it’s a great celebratory album that fans of the Metroid series will definitely want to check out. It captures the essence of Metroid quite well, while also delivering a contemporary sound that will satisfy both fans of the series and non-fans as well. Be sure to give this one look, along with the rest of the Harmony of series. Posted on July 6, 2015 by Julius Acero. Last modified on July 6, 2015.